Presented by Steve Smith, Ph.D.
With all of the AI buzz going around, what is a good Talent Developer to do? January's meeting will focus on practical AI applications that you can apply to your professional practice now and in the future. Joining in on the AI discussion and understanding how AI applies to you and your organization are two great start-of-the-year-right 2018 goals. On a related note, ATD will publish a Talent Development Guidebook at ATD 2018 in San Diego. Steve contributed the Artificial Intelligence section to the book. Plan to attend our January 2018 meeting and learn ahead of ATD 2018. Steve Smith, Ph.D. enjoys a blended corporate training and academic facilitator experience. 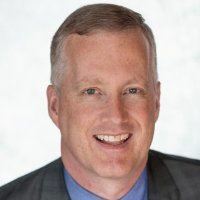 Steve's work includes developing professionals through innovative business driven solutions and aligning and attuning Talent Development (TD) investments with direct business results and indirect organizational influence. Steve's students complete project-based learning to make learning refined and relevant. Past projects include TD program directing and designing, mobile apps for car haulers, American Royal program leadership, and even a Fantasy Rodeo website.